Operating since 1962 Elettromeccanica Piossasco s.r.l. 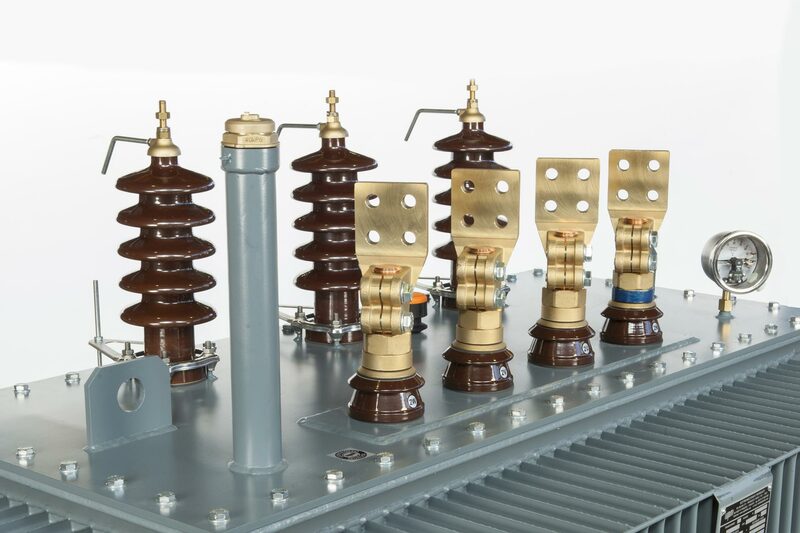 is specialized in the design, manufacture, sale and maintenance of Medium and Low Voltage Oil Immersed, Cast Resin and Impregnated Dry-Type transformers. 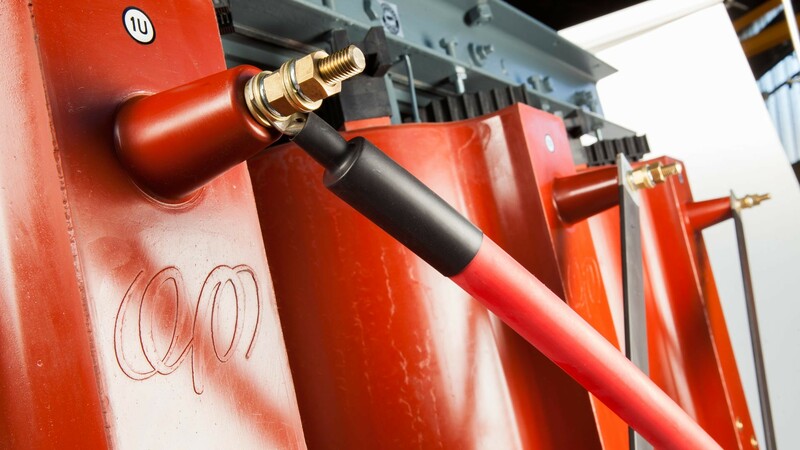 Thanks to the experience achieved over the years we are able to supply standard transformers alongside tailor-made transformers designed on specific customer requirements. IS IT BETTER TO PURCHASE AN OIL IMMERSED OR A CAST RESIN TRANSFORMER? 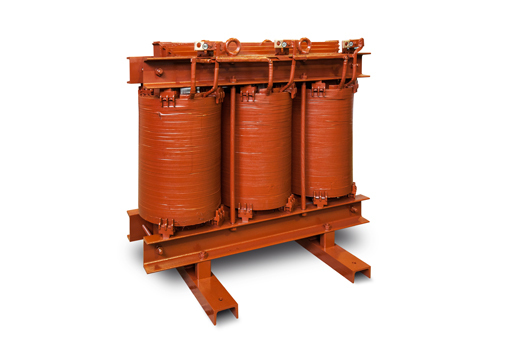 There is no specific parameter for selecting the transformer type to buy. It depends mainly on the project devised according to customer requirements; it also depends on the location where it will be installed e.g. indoor or outdoor, the Country of installation as well as the type of plant that it will feed e.g. solar power plant, furnace supply etc. We ensure an adequate flexibility according to customers requirements. 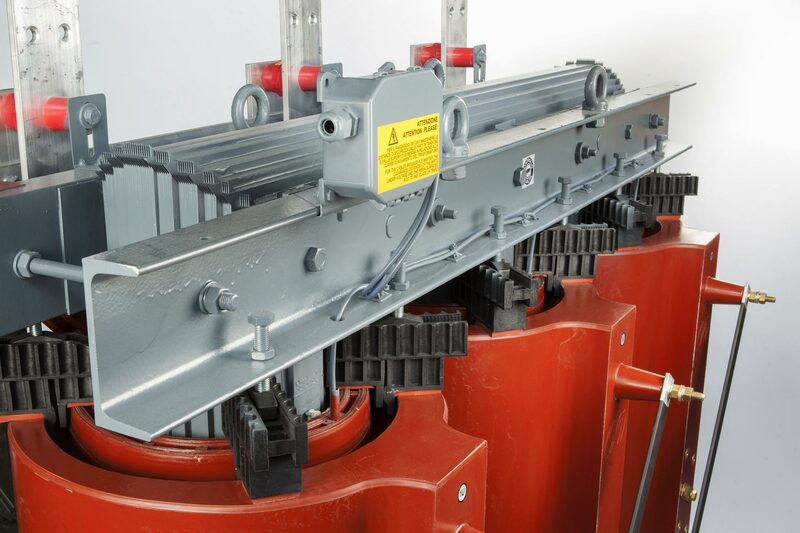 Before being put on the market our transformers are tested in compliance with CEI EN 60076-11 standards. FAT (factory acceptance tests) are included in the price and are performed by expert technicians directly at our plant. It is possible for the customer to attend the testing procedures. Measurement of acoustic noise level. 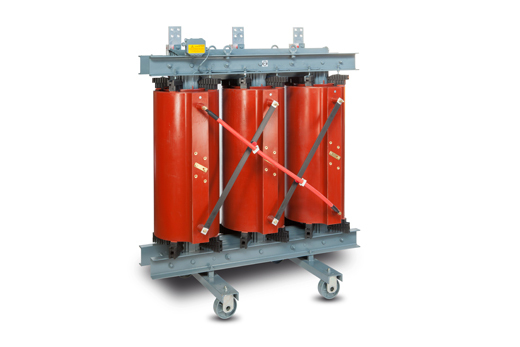 Once the transformers are tested they are bolted and strapped on wooden platforms, tailored upon their size and they are finally packaged with shrink firm in order to create a protection against humidity and atmospheric agents. We do not take care of the installation at site. 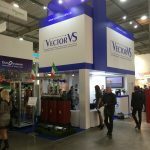 The production process implemented by Elettromeccanica Piossasco is in compliance with a Quality Procedure developed according to ISO 9001:2008, accredited and verified by DNV (DET NORSKE VERITAS) accreditation body. The preceding rules were replaced by the new European standard EN 50588-1 according to EU Regulation 548/2014 issued by the European Commission with the aim of achieving greater energy efficiency and a general environmental compatibility of electrical appliances, with a reduction of CO2 emissions. 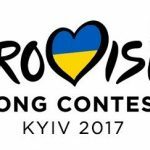 The directive will be implemented in two steps: the first from the 1st if July 2015 and the second, which provides stricter standards, is scheduled for 2021. The reduction induction for no load losses. The reduction of density for on-load losses. 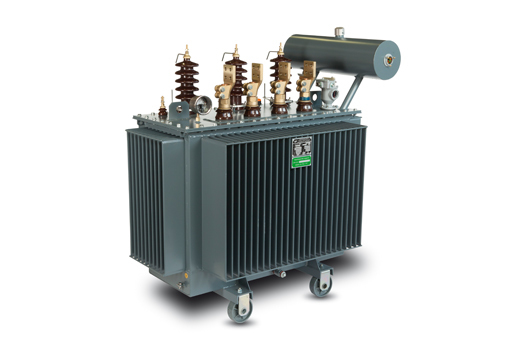 It is also introduced the concept of PEI (Peak Efficiency Index) for transformers featuring a rated power greater of 3150 kVA. 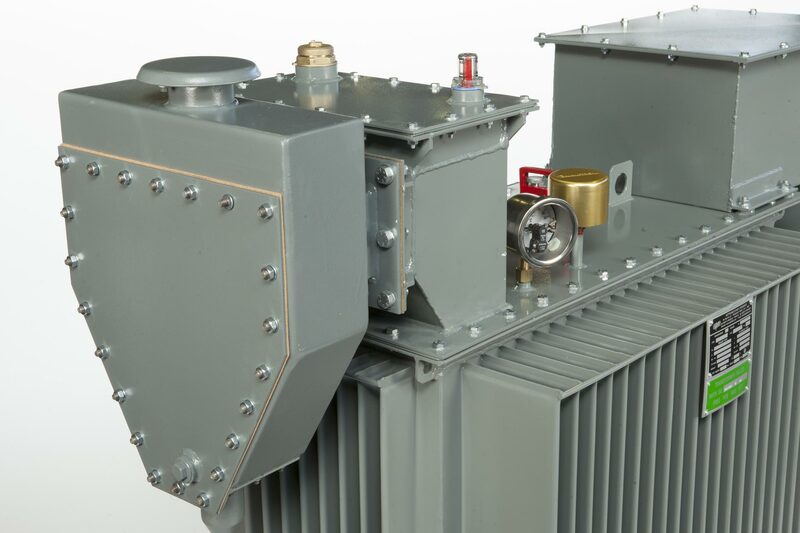 Our selection of Threephase Oil Immersed transformers ranges from 50 kVA to 6000 kVA, with Voltages up to 33 kV (MV insulation class 36 kV). Features upon request: Electrostatic ground shield and air cable boxes, silicone oil or vegetable oil and other accessories. 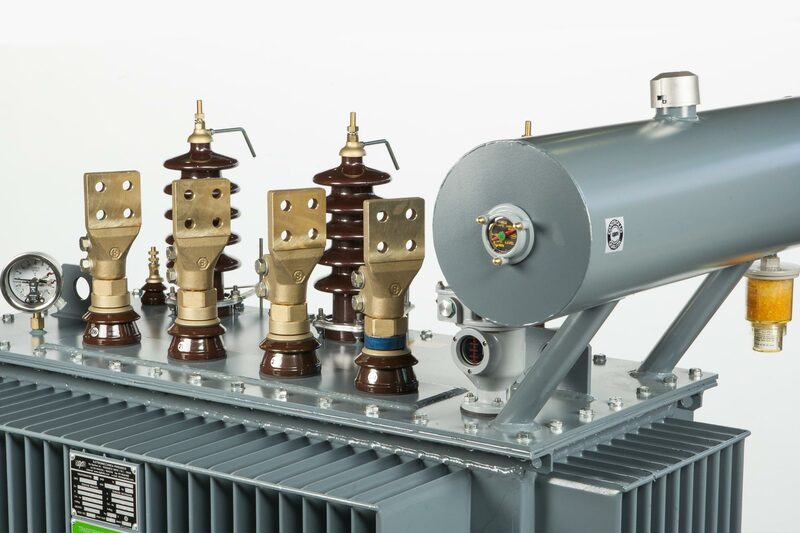 Our selection of Threephase Dry Type Cast Resin transformers ranges from 50 kVA to 3150 kVA, with Voltages up to 33 kV (MV insulation class 36 kV). The items listed are available in stock for prompt delivery. For any technical and commercial enquiries please contact our sales department. 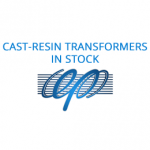 Please subscribe to our newsletter to receive updates on stock-availability, further information on our products, offers and news about Elettromeccanica Piossasco. We would like to thank you for your visits at MEE 2017!!! Because of the environmental degradation process suffered by our planet, environmental protection has become a major global issue. We are active in resolving this problem, in fact we recycle all production waste, the disposals are checked and we carry out waste separation. In 2010 a solar power plant was built next to Elettromeccanica Piossasco headquarter. This allows us to power all our activities with solar power.